SCHRADE & PARTNER: We advise companies in all matters of business law since 1976. 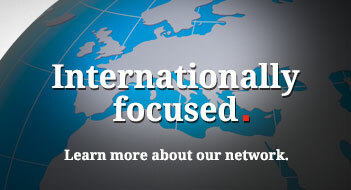 Many of our clients have their headquarters in southwestern Germany, yet act European-wide and even globally. 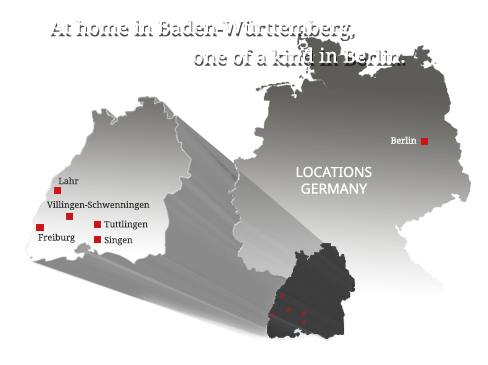 With several offices in southern Baden-Wuerttemberg and an office in Berlin we are always right there where our clients need us. Company and commercial law, Mergers & Acquisitions, corporate restructuring, labor and service contract law, stock corporations and capital markets law, recapitalization and restructuring of companies, insolvency law, inheritance and company succession law, distribution and anti-trust law, public health law, court representation, compliance as well as tax and commercial criminal law. And we are far more than just the sum of our expertises. Our philosophy is to work across different offices and interdisciplinary. 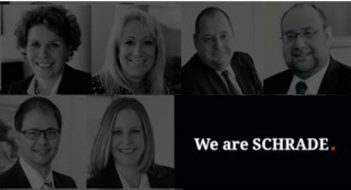 Your lawyer at Schrade & Partner coordinates individually assembled teams of highly qualified lawyers and at the same time serves as your central contact. The lawyer at Schrade & Partner qualifies with a thorough understand of the complexity of the economy in general, expertness of the client’s company in particular as well as a profound knowledge of the business law, always keeping up with the latest developments. To take tax and business matters into account for the benefit of our clients is self-evident for us. Therefore we work closely with tax consultants and auditors. Our advisory concepts are characterized by a reasonable relation between the task present and the costs. Together with our cooperation partners Austrian, Polish, Hungarian, Czech, Italian, Slovak, France and Swiss we are able to legally advice and manage international and cross-border matters.